Frank Zappa would have been 70 this year – his life and music are being celebrated in Britain and the US, 17 years after his death. Chris Hall meets his widow, Gail, and their children. 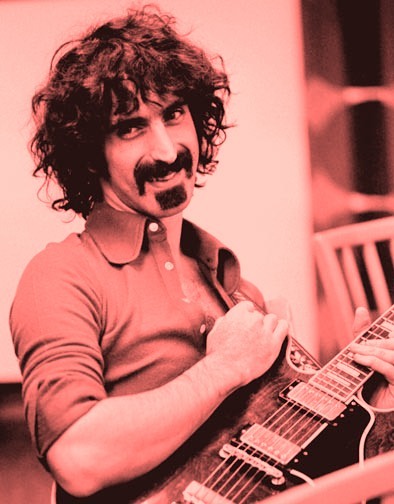 Last month, [Zappa’s widow] Gail and three of their four children – Dweezil, 41, Ahmet, 36, and Diva, 31 – went to the unveiling of a statue in honour of Frank in Baltimore, where he was born. The city also declared it Frank Zappa Day. “There were 5,000 people in the street. It was amazing,” says Gail, and they are all still clearly very touched by it. The Czech president, Vaclav Havel, even claimed that Zappa’s music was part of the inspiration for the anti-communist revolution in 1989, and briefly made him a special cultural ambassador. This entry was posted on November 3, 2010 at 9:32 am and is filed under Music with tags 70th birthday, baltimore, communist, cultural ambassador, czech republic, frank zappa, london sinfonietta, musicians, revolution, roundhouse, the guardian, usa, vaclav havel. You can follow any responses to this entry through the RSS 2.0 feed. You can leave a response, or trackback from your own site.